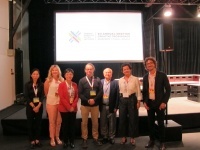 Macao is participating at the 12th UNESCO Creative Cities Network Annual Meeting that opened today (June 12) in Poland. This year co-hosted by Krakow and Katowice, Creative Cities of Literature and Music respectively, the major annual gathering of the network brought together city members from all over the world, representing the seven creative fields of the network. This is the first time Macao attends the major annual event of the network after its designation as a Creative City of Gastronomy. The Director of Macao Government Tourism Office (MGTO), and Macao SAR focal point to the UNESCO Creative Cities Network (UCCN), Maria Helena de Senna Fernandes, is in Poland to represent the city at the annual meeting, and present Macao’s plans as a Creative City of Gastronomy. Ahead of the meeting, Macao signed a memorandum to join a research project concerning the Silk Road gastronomic culture history, in one of the first multilateral collaborative initiatives the city joins with other member cities in the gastronomy field. The opening ceremony of UNESCO Creative Cities Network Annual Meeting was held today in Krakow, kick starting a wide array of plenary sessions for all network city members, as well as workshops for the different creative fields, along with a string of cultural events. Participants were welcomed by remarks of the Assistant Director-General for Culture of UNESCO, Ernesto Ottone Ramirez, the co-host city mayors of Krakow, Jacek Majchrowski and Katowice, Marcin Krupa, among others. 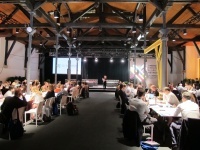 The event closes on June 15 in Katowice. Over 370 delegates are attending the annual meeting, including mayors, experts, academics, artists and other stakeholders from the government and private sector, representing 160 UCCN member cities from 64 countries, in the seven creative fields covered by the network: film, music, literature, media arts, design, gastronomy, crafts and folk art. The theme of this year’s meeting is “Creative Crossroads”, celebrating the collaborative and creative spirit as drivers for sustainable urban development that lies at the core of the network. Delegates gathered at the annual meeting are holding discussions, sharing best practices, setting future collaborations and will agree on the priorities for the coming year. High on the agenda during plenary and creative fields working sessions is how member cities’ initiatives are fulfilling and can further contribute to implement the United Nations’ 2030 Agenda for Sustainable Development. As one of the eight newly designated UNESCO Creative Cities of Gastronomy in 2017, Macao will introduce to other city members in the field of gastronomy the initiatives and plans ahead for the city, in one of the gastronomy subnetwork sessions scheduled for tomorrow (June 13). MGTO Director will present the initiatives undertaken following the designation, including the launch of the “2018 Macao Year of Gastronomy”, the organization of the “International Gastronomy Forum, Macao 2018”, as well as featuring the gastronomy element in several events, such as the Parade for Celebration of the Year of the Dog, the 6th Macao International Travel (Industry) Expo, the Macao Light Festival and The International Film Festival & Awards • Macao, along with the support of the organization in Macao of international gastronomy events like Asia’s 50 Best Restaurants awards ceremony, among others. 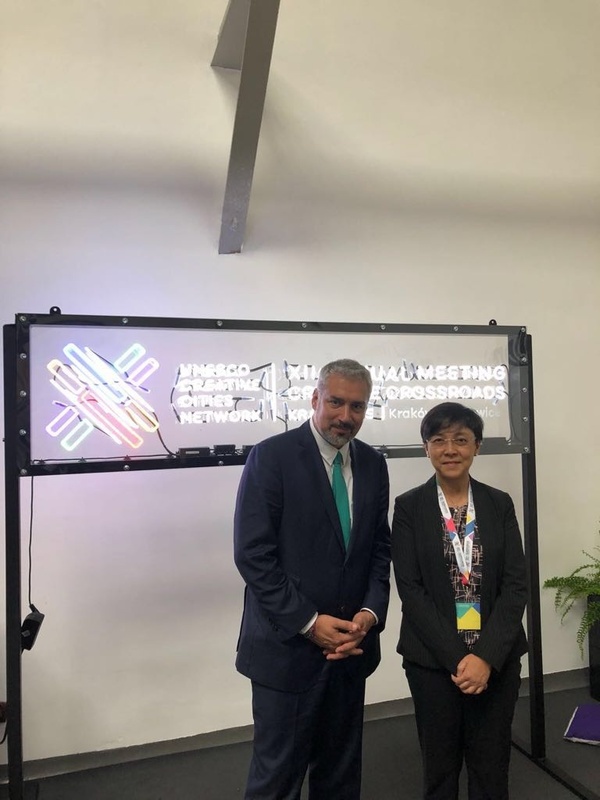 Maria Helena de Senna Fernandes will also brief other member cities on Macao’s four-year work plan (2018-2021) as per the city’s commitments in the application to join the network, how it fulfills the UCCN mission and corresponds with the Sustainable Development Goals. Macao is attending the gastronomy group meetings together with representatives from other 24 Creative Cities of Gastronomy. The meetings are meant to review past work and decide on plans for future development. 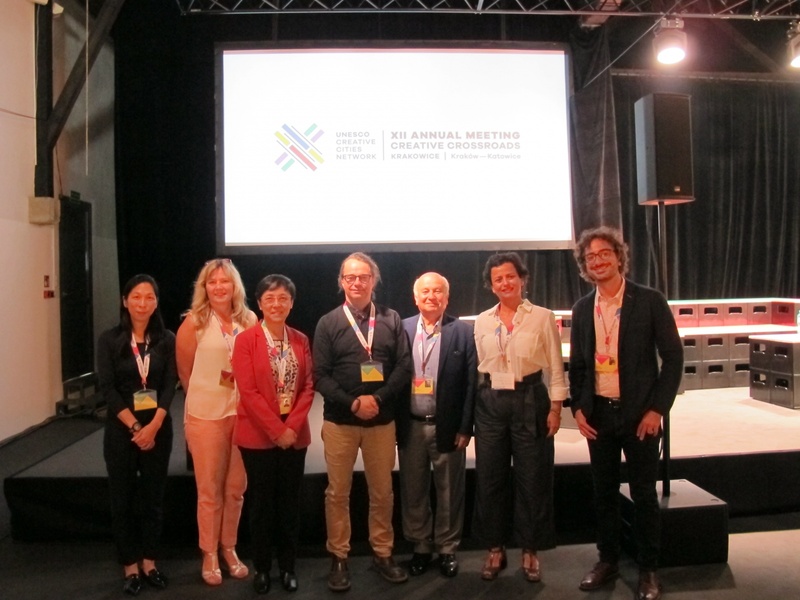 The results of the gastronomy subnetwork sessions will be shared at the UCCN general assembly on June 15, together with other creative fields. Ahead of the opening of the UCCN Annual Meeting, on June 11 Macao signed a memorandum of agreement for the research project: “History of Food Culture Based Relations on the Silk Road” that includes a total of nine Creative Cities of Gastronomy. 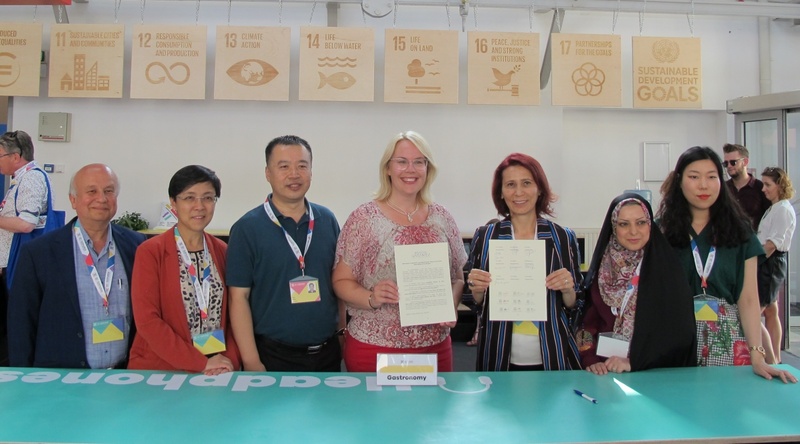 Maria Helena de Senna Fernandes signed the memorandum on behalf of Macao, along with representatives from the Creative Cities of Gastronomy of Gaziantep and Hatay (Turkey), Chengdu (China), Jeonju (Korea), Östersund (Sweeden) and Rasht (Iran). Shunde (China) and Tsuruoka (Japan), not present at the occasion, also signed the memorandum later. Initiated by Gaziantep, a past trade hub along the Silk Road, the multilateral project is dedicated to study and disseminate knowledge about the gastronomy history and culture in the Creative Cities of Gastronomy located along the old land and sea trade network. Macao became one of the city partners of the research project given its unique history as a trading port along the Maritime Silk Road fully represented by its Macanese cuisine, as well as the city’s participation in the Belt and Road initiative. The 13th UCCN Annual Meeting is slated to take place next year in the Creative City of Crafts and Folk Art of Fabriano, in Italy. Meetings in the different creative fields will be held in between, bringing together city members at events such as the “International Gastronomy Forum, Macao 2019”. Created in 2004, the fast-growing network is formed by a total of 180 member cities from 72 countries in the seven creative fields, including 26 cities in the area of gastronomy.